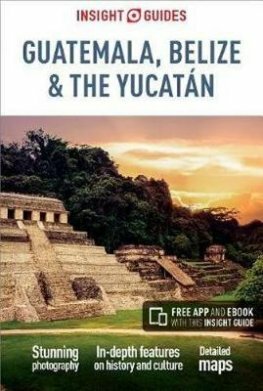 Insight Guides launches new bookable trip to Guatemala & Belize alongside publication of their latest Guatemala & Belize travel guide. The trip is planned by local experts to give the traveller a truly off-the-beaten-track experience. Why is this trip special? The latest trip to be launched is a trip to Guatemala and Belize, where travellers can enjoy an in-depth glimpse into Guatemalan and Belizean life - visiting local schools, strolling along local markets, and visiting a Mayan ceremony. ● Have a bird's view of ancient temple in Mirador Basin (with the optional helicopter ride). You will be away from the main tourist throng as this temple is only accessible by helicopter or a very long trek. "With this package, you are able to enjoy the top destinations of Guatemala and Belize, including stays in only the finest hotels and having unmatched insider access to the culture and history along with passionate guides, who will join you every step of the way. Additionally, you can pamper yourself in the beautiful beaches of the Caribbean with the barefoot luxury of Belize." What are Insight Guides Trips? Travel guide publisher, Insight Guides, uses local experts based all over the world to create and book customisable cultural guided trips to top locations. The trips are designed to help travellers experience the best of a location whilst taking away the stress of planning what to do and how to get around; everything will be planned and booked by the local expert in close contact with the traveller. The traveller can customise the trip as much as they like and pays just one lump sum for everything. Can’t I just plan my own trip? And for those who want to visit Guatemala but want to plan their own trip, the new travel guide Insight Guides Guatemala & Belize contains all the information they need to do this. The guides are in full-colour and also come with a free eBook download, so readers can easily switch between paper and digital formats as and when necessary. This can be particularly useful when travellers are going to places where they don’t feel safe carrying their phone or tablet to view their digital edition, but still want to be able to check things on the go. According to INGUAT (Guatemalan Institute of Tourism), the last couple of years have seen a marked jump in the number of tourists visiting Guatemala, and this trend is expected to continue into 2019. Insight Guides has launched this trip and guide in response to the increased interest in this territory. With many destinations facing over-tourism, the beach retreat in Belize offers unspoiled luxury in a pristine environment. Guatemala offers unique insights into local life, it's the true Mayan heart of the region and offers something for everyone from jungle over colourful markets to volcanoes. Click here to see more unique tours by Insight Guides. Insight Guides provides a bespoke trip planning service that uses the expertise of local experts across the globe. The local experts live in their destinations and use this knowledge to create fully customisable cultural excursions to over 70 destinations. Insight Guides is also a pioneer of full-colour guidebooks with almost 50 years' experience of publishing inspirational and visual travel guides with user-friendly, modern design. 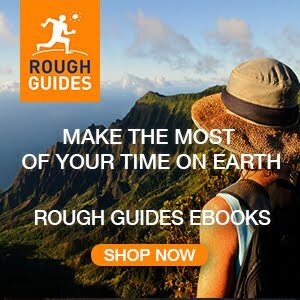 The Insight Guides list comprises over 650 full-colour print guidebooks, maps, as well as phrasebooks, eBooks and apps that meet different travellers' needs, from pre-trip planning using the inspirational guidebooks to easy on-the-road exploration using the free accompanying eBooks and apps.